You probably have heard the expression, “build a better mousetrap, and the world will beat a path to your door.” As a software company, we are always looking for new ways to improve our technology. 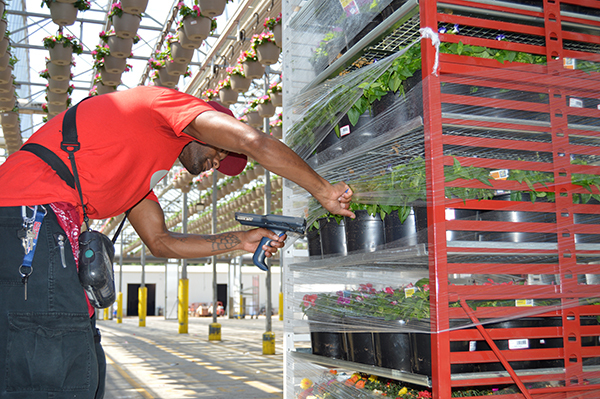 We created Scan by Cart (seen here at Metrolina Greenhouses) when Young’s Plant Farm wanted a way to improve their shipping accuracy to big-box retailers. Nearly a decade ago we began developing Grower Vertical, our add-on to Sage ERP that compensates for the unique manufacturing environment in the horticulture industry. In the intervening years, we’ve continued to improve our mousetrap. Whether it’s specific add-ons that were envisioned by our customers (Scan by Cart) or keeping pace with advances in technology, Grower Vertical has grown leaps and bounds from when we first partnered with Metrolina Greenhouses. Since then, the path to the door at Practical Software Solutions has become more noticeable as more and more growers have heard of our technology and how it has helped their peers in the industry. We also recognize that we aren’t equipped to solve every single problem. The good news is that there are other software companies that have developed specialized tools, just like we did with Grower Vertical. 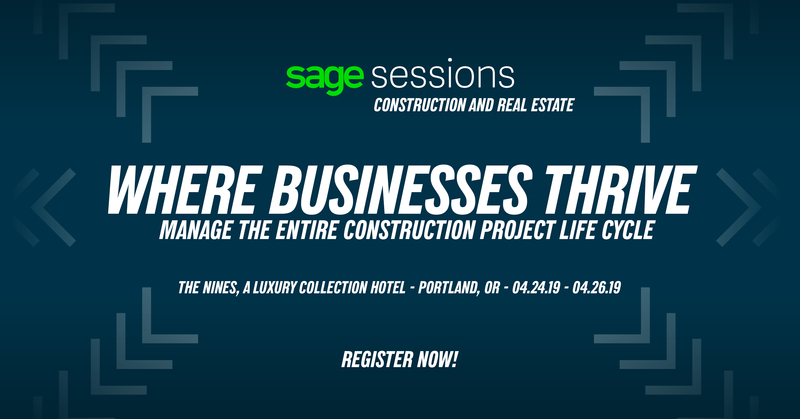 Many of these third-party products have been designed to work with a specific Sage ERP product, such as Sage Inventory Advisor, but others exist on their own accord because a company saw a problem that wasn’t being solved, whether it had to do with an ERP product or not. To our delight, not only did we find an amazing retail forecasting tool in DemandLink, but also one that was originally designed for the horticulture industry. DemandLink provides simple yet robust forecasting, replenishment and business intelligence tools for the live goods industry. We were happy to find DemandLink, the leading forecasting and replenishment tool in the horticulture industry. While working at a large live-goods operation in the Pacific Northwest in 2008, Robin Cross and John Garren realized there was a need for a forecasting and replenishment system that took into account the seasonal anomalies in the horticulture industry. Once they started the project, they realized just how many other growers were having the same problem with processing and analyzing the massive amounts of daily point-of-sale data they would receive from retailers — especially the big-box stores. The models they developed took into consideration a huge variety of the outside influences that affect shopper’s buying habits for live goods. The variables range from weather forecasts (heavy rains, a cold snap, etc.) to economic factors (unemployment rates, paydays, housing starts, etc.). The results were amazing: In DemandLink’s first live-year test, they saw a 35 percent sales comparison increase over the previous year. Just two years after initially setting out to start the project, DemandLink was made commercially available as they added an additional 10 customers. They currently have 30 customers across 12 retailers, and DemandLink forecasts more than $2 billion in annual sales. When our Grower Vertical team first met with the DemandLink team, it didn’t take long for both of our companies to realize how well our products went together. We formally announced the integration between DemandLink and Grower Vertical last July, right before we went to Cultivate’14. Think of the horticulture industry as a traditional manufacturing trade. (This is the basis of our work on Grower Vertical in the first place.) You have a certain process to create your end-product, with materials, labor, manufacturing time, and various finished goods. Your one finished product could end up sold by itself, or in a bundle. DemandLink, which integrates with Grower Vertical for Sage ERP, helps growers process and analyze the massive amount of data from big-box retailers. One of the steps in the process that sets the horticulture industry apart is the manufacturing time. If you’re a traditional manufacturing company, it takes the same amount of time to craft your widget whether it’s January or July. When you’re growing live goods, the time it takes for your plants to develop varies depending on what week of the year it is. On top of that, the weather and different locations across the country can determine when consumers will be able to (and will want to) use your products. For example, people in Florida will be able to use delicate springtime flowers much earlier in the year than people in North Dakota. And a couple of rainy April weekends in a row in Nebraska may slow demand at the big-box retailers. That’s where DemandLink comes in. With more than 35,000 points of data, DemandLink can help growers accurately forecast their replenishment at the store level. DemandLink pulls almost any type of data that can affect consumers’ shopping habits, such as fuel prices, weather, demographics, housing market prices, pay days, the stock market, holidays, advertisements, and even sales and inventory metrics. The data DemandLink pulls from comes from reliable sources, such as all NOAA weather forecast stations in the United States. So here’s an example of how this can be used: Let’s pretend that DemandLink shows that housing starts are forecasted to be slow in the Charlotte, N.C., area in March, even though the region has recently seen an uptick of single-family housing. In keeping with the make-believe scenario, DemandLink can tell a grower that the last few Marches have been much colder and wetter than normal, and weather forecasts are predicting the same pattern. With fewer housing starts than anticipated and poor weather for landscaping and gardening, contractors may not be making as many bulk purchases of plants. With this crucial data, the greenhouse grower that supplies big-box retailers in the market could adjust its seasonal forecast to slow down production for the beginning of the spring. While the system was developed for the live goods industry, DemandLink has since been adopted by other manufacturing industries that are also seasonally affected, such as designer plumbing (construction), consumer electronics (holidays/Super Bowl) and fashion industries (weather changes). When you think about it, any manufacturing industry that has ups-and-downs according to outside influences (umbrellas, ice scrapers, candles, blankets, toys, etc.) can benefit from DemandLink. It’s pretty easy to figure out why DemandLink and Grower Vertical for Sage ERP make such a great pair. Because we’re a Sage partner, we’ve always been involved with traditional manufacturing, and we’re honored to have become part of the horticulture industry. On the other hand, DemandLink was born in the horticulture industry and found they were applicable to traditional manufacturers as well. This means both of our companies can take technology that has been around for decades in the traditional sector and translate it for the live goods industry. And even though it was created with the intent of processing data from retailers, DemandLink also can handle the massive amounts of data produced by an ERP system. During our Tuesdays with Practical meeting back in November, Mark Eddy from Sage gave a presentation about Sage Intelligence Reporting and Sage Enterprise Intelligence. He mentioned that ERP systems are great at collecting data. From financials and sales to manufacturing and distribution, ERP systems can pull together data across the board because if its seamless integration between different segments of a business. Much like Sage Intelligence, DemandLink gobbles up data from Sage ERP, and with its industry-leading analytics, spits out easy-to-use information. 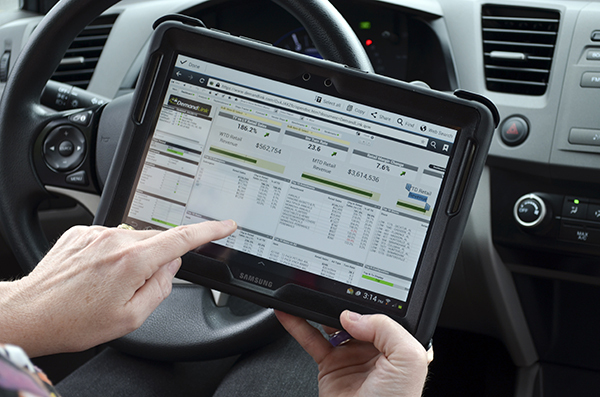 I’ve mentioned before how important it is for growers to have a completely integrated business system. When you’re making important decisions for your company, you need to have all of the information in one spot. Searching different programs or spreadsheets wastes time, energy, and has the potential to create errors (of omission and commission). And as Mark said, having all this information in a graphic interface instead of a wall of numbers in a spreadsheet makes it that much easier. If you’re interested in learning more about DemandLink, click here to let us know. If you’re in the horticulture industry, you can also visit us at Booth 1726 at Cultivate’15 from July 12-14 in Columbus, Ohio, where we’ll be showing the integration between Grower Vertical for Sage ERP and DemandLink.